To me there is no no use having a brownie if it isn’t fudgy. I don’t want a brownie to taste like cake, what is what cake is for…and well, I love cake but it has NO place in my brownies. These brownies are creamy, rich and fudgy and well, to tell the truth, they are the ULTIMATE brownie in my book. When creating this recipe I wanted the brownies to give the chocolate pleasure seeker something to sink their teeth into. Don’t you just LOVE when that happens? Things turn out just as you’ve planned. Yea, I don’t know about you, but I sure with that happened MORE. Lots of recipes call for 3/4 of a cup and instead of having to get out multiple measuring cups I use this one, it’s from OXO and I really love it. No one is paying me to say it. I can’t help it if I like measuring to be convenient. Plus is cuts down on dishes and I KNOW I’m not the only one who likes that. I wanted to make a brownie recipe that would fill a 1/4 sheet pan (9.5×13 and 1 1/4 inch deep), HERE is a link to the pan on Amazon. No 8×8 pan here….these puffed up just over the edge when baking and cooled perfectly. 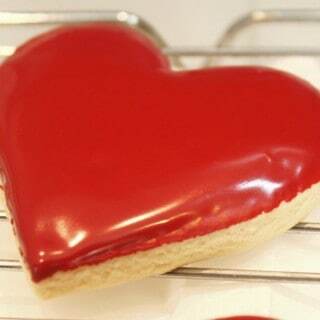 I’m excited to be participating in Bake a Difference campaign from OXO benefiting Cookies for Kids’ Cancer. 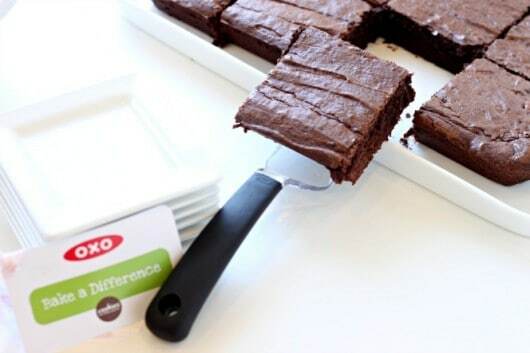 OXO’s brownie server is just PERFECT for brownies and other small treats! Line a ¼ in sheet pan with parchment and spray with baking spray around edges for easy removal of brownies. 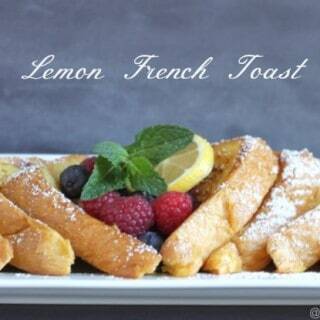 Beat butter with sugar until smooth and creamy. Add to it the cream cheese and blend together well. Add in each egg mixing to incorporate each egg, without over beating. Add in cocoa, salt, coffee, cinnamon and flour until all combined. 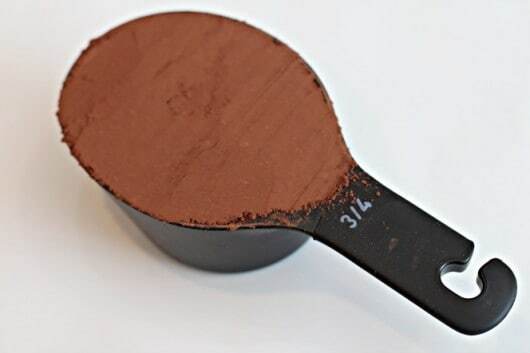 Pour batter into pan and spread smooth. 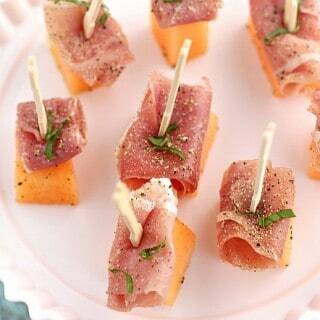 Bake at 350 for35-40 minutes, until toothpick comes out almost clean. 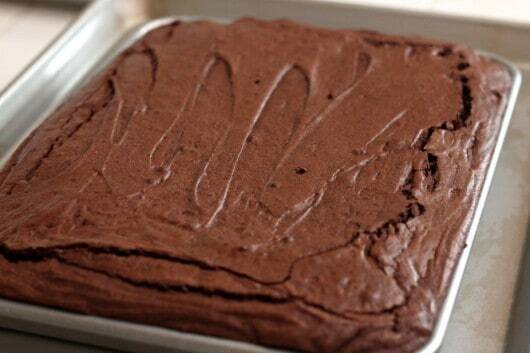 Allow brownies to cool before slicing. For super creamy brownies that are fudgy and delicious, this recipe is a sure keeper. Not going to lie, it was hard not to eat them all. Disclosure: I was provided with products from OXO. I was not compensated for this post and all opinions are of my own. Oh my GAH! Those brownies look like pure, indulgent goodness! By far the best recipe for brownies. I’m in total agreement with your brownie philosophy! P.S. I was just reading about cookies for kids’ cancer and am planning on a bake sale in the near future:) Such a great organization and worthy cause! Love fudgy brownies and with you about cake-like ones. Mmmm – with walnuts —- perfection. Deelicious looking brownies, Diane. Ahh! I want a giant slice right now! Fudgy brownies are the BEST! I totally agree… who wants a brownie that is not fudgy?! 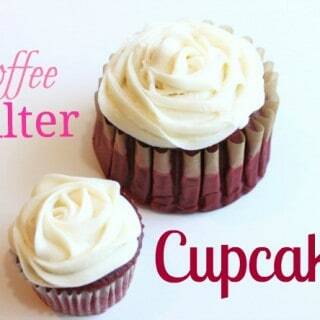 These look so perfect! I love a good brownie! 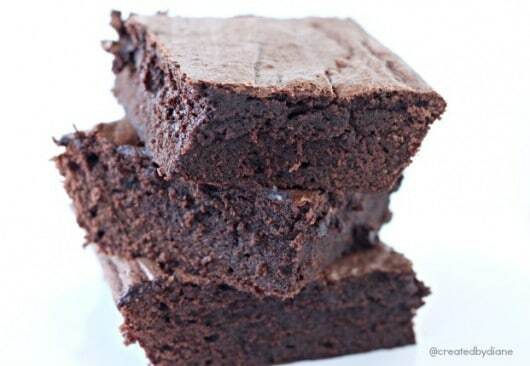 Completely agree – brownies need to be fudgy, and these look perfect! Fudgy brownies are a beautiful thing 🙂 I am loving this recipe!! I’m a fudgy brownie kind of girl all the way! You sure can Shawn, and you can add in any yummy flavor you’d like to them too. A dash of maple extract would be yummy! The best brownies are fudgy brownies. Truth. I love how OXO is giving back. Great recipe and cause, Diane! I agree!! Cake brownies be gone! Hello, Is there a way to get a fudgy brownie recipe without using Eggs as im allergic to them??? I wish I could help you on that, but I haven’t baked brownies with no eggs. I found some info here http://chefinyou.com/egg-substitutes-cooking/ that may be helpful, but as I haven’t tried any of the ideas. I hate that measuring cups don’t come with a 3/4 cup! I had to search for a set that did, and now it’s my favorite just for that reason. These brownies look fabulous! 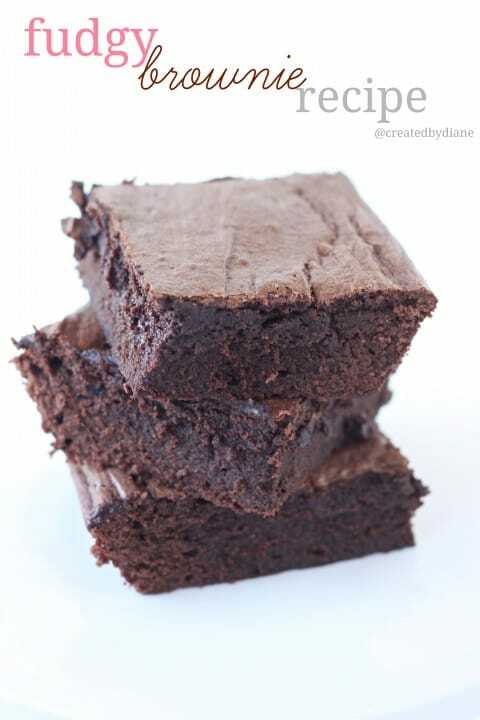 I never pass up a good brownie recipe and these sure look amazing! Is this a 15X10 pan? yes you can, if you prefer you could add some nutmeg in it to give it a rich taste along with the cinnamon in these, I’m sure that would be delicious. Thank you Diane. I love all your recipes.